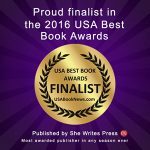 Expect Deception is an “Award-Winning Finalist in the “Fiction: Mystery/Suspense” category of the 2016 Best Book Awards”. Lovers of World War II stories will enjoy this book, as will folks interested in the paranormal. If you like both, this novel is for you! 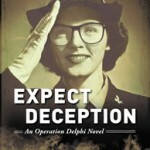 Give Expect Deception a try. Ainsworth has crafted a fascinating series that drew me right in and kept me enthralled. Having grown up in Philadelphia, the landmarks are familiar and I found myself researching some of the tactics used by the enemy to see if the Third Reich recruited psychics and dark magic. I reached out to the author for more information and received this background from her publicist: Nazis and the Occult. By using search terms “Nazi and occultism” I am able to find other articles that seem to reference similar information, Nazi Occultism. This series is inventive, creative and a unique glimpse into the home front during World War II. I can’t wait to see what comes next! Buy at Amazon • Barnes & Noble • Books a Million • Shop Indie Bookstores and more. 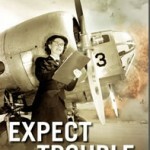 My very first fan club is organizing to promote EXPECT TROUBLE – and me, of course. Check out the Facebook Fan Page created for EXPECT TROUBLE. 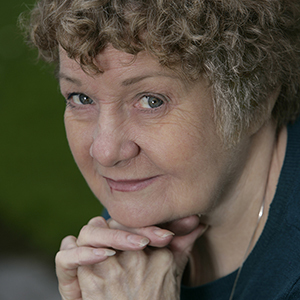 Take a peek at my blog posts on Goodreads, and get a sneak peek at what JoAnn’s been up to on social media.